The first time we took a cruise around the British Isles was because we had never been to Ireland.We enjoyed the cruise so much that this is now the third time we have done it. 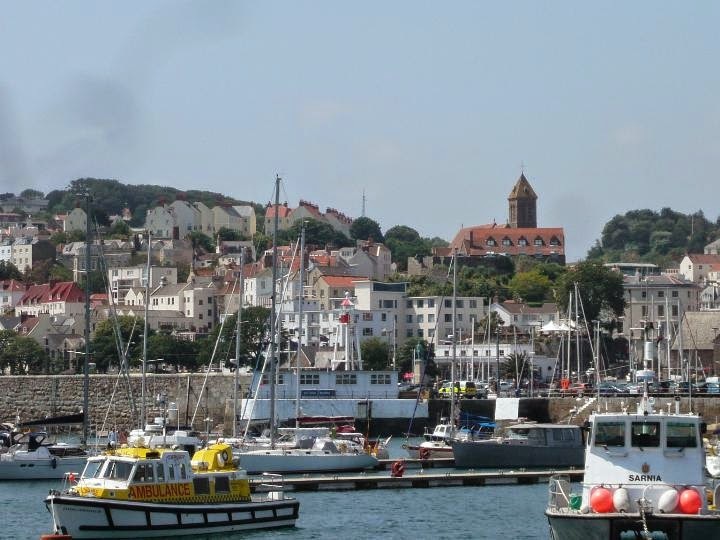 Our first stop was Guernsey and we did what we had done the first time and caught the local bus which goes all the way around the island for £2. Much better value than the $40 or so that the ship tour costs. 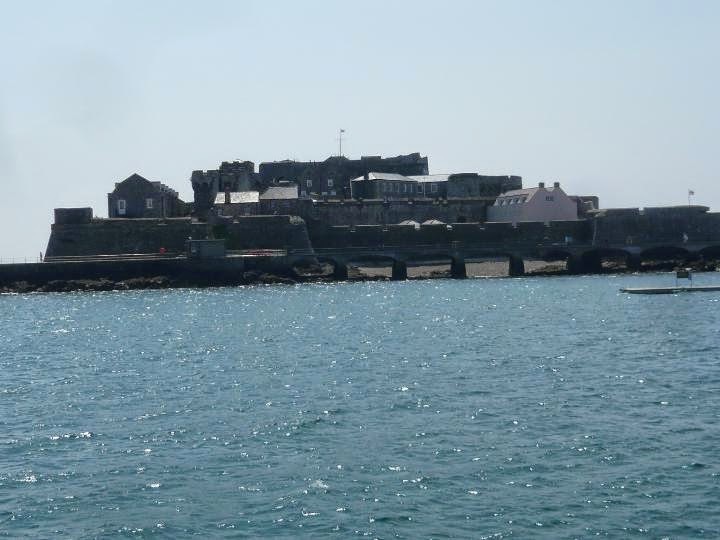 Fort Grey is a 'Martello' tower built in 1806 to defend the bay at Perelle from French attack. It now houses a museum which tells the story of the many terrible shipwrecks that have occurred on Guernsey's treacherous west coast. 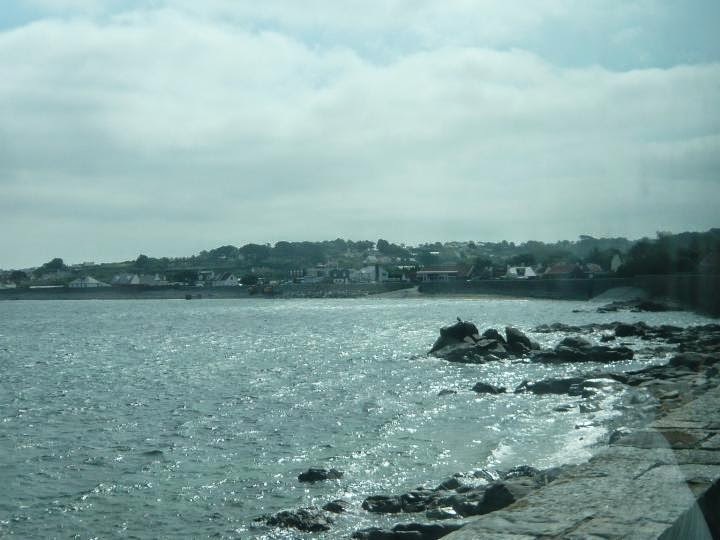 Views around the coast of Guernsey. 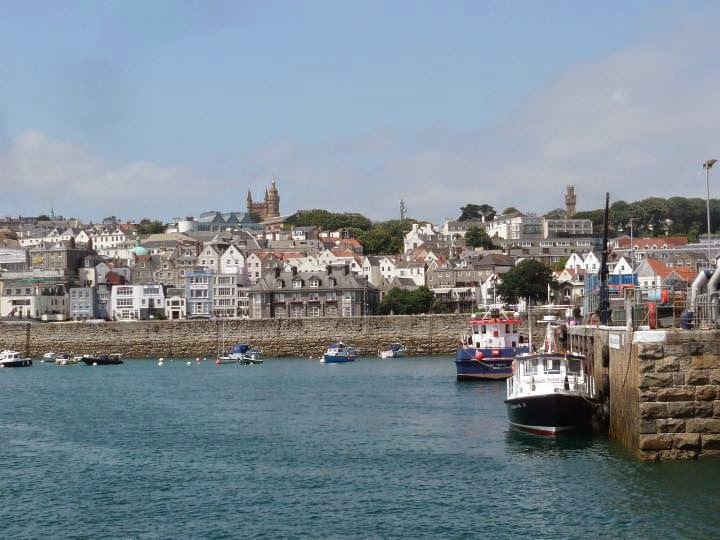 Castle Cornet has stood guard over St Peter Port harbour since the thirteenth century. It was progressively extended outwards, especially by Queen Elizabeth. During the English Civil War it was held for the King against an 8-year siege by Parliamentary forces. An explosion destroyed the medieval 'donjon' in 1672 but the castle was then extended under the Georgians. Its final military use came when German forces used it as a strong point in the second world war. Leaving Guernsey we headed for Cobh (pronounced Cove) which was formerly known as Queenstown and was the last port of call of Titanic.We caught the train into Cork and we were going to get the HoHo bus but when we got to Cork there was a locally operated open top bus at the station, so we decided to take that one instead. It was a good choice. The guide had everyone in fits of laughter from start to finish. 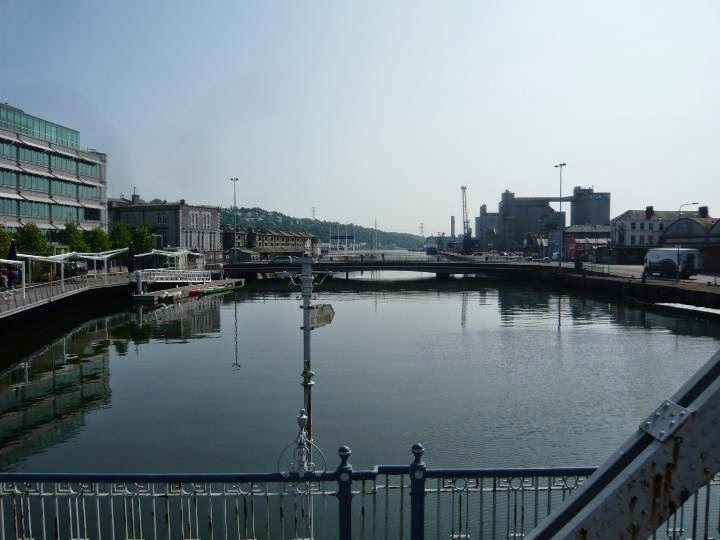 The River Lee which runs through Cork. 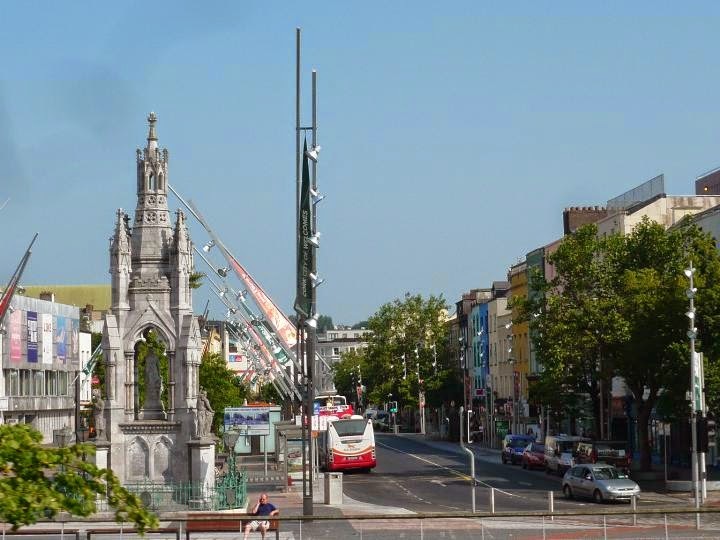 The National Monument on the Grand Parade in Cork was unveiled on St Patrick’s Day 1906. The monument commemorates the rebellions of 1798, 1803, 1848 and 1867. The bus took us around some of the sights of Cork and on to Blarney Castle which will be in the next post.